Home » » Monasticism in kinnaur Himachal Pradesh. Kanet boys, who study the Tibetan scriptures and are well versed in Buddhist doctrines, are called Lamas. Similarly the Kanet girls, who do not marry, but dedicate their time to the study of Tibetan scriptures are called Zomos or Jomos. They live in nunneries. The two main nunneries are at Kanam and Sunnam and in these a huge information of Zomos live. As well this, approximately each town had few Zomos. 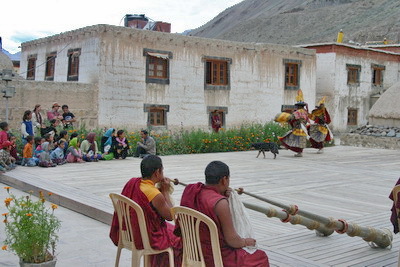 The Lamas live in the monasteries and are look ahead as very holy. In fact they are the priests of all the Kanets.